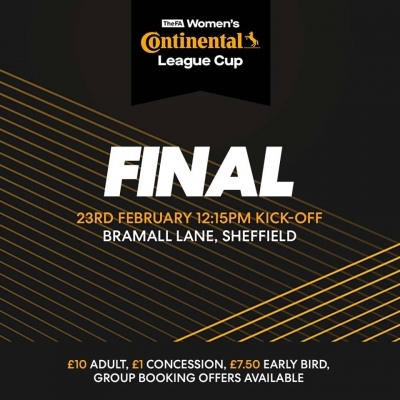 The FA Women's Continental League Cup Final will be hosted at Bramall Lane. South Yorkshire will be the venue for the Cup Final again this season after previously hosting at Rotherham United's New York Stadium. Sheffield United's Bramall Lane has been selected to host this year’s final which always makes for a great event. The Final has been set for Saturday 23rd February with a 12:15pm Kick Off. We encourage all our local grassroots clubs to attend this game to support women's football but to also have a great day out. To apply for tickets click here.